Nighttime is one of my favourite times of the day. It’s the only time we get to truly be ourselves. We wash off the mask we’ve worn all day and have a chance to unwind. It’s in those moments before I slip in between my sheets, where I can pamper myself and reflect on the day I’ve just had. It’s the only time I can be myself; I’m finally not busy. 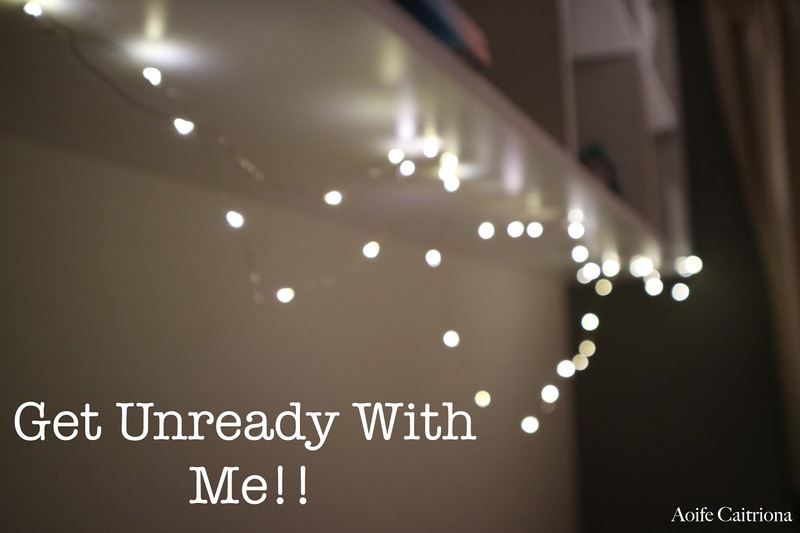 No ones pushing me towards anything and I’m not in a hurry. It’s a beautiful time. One of the ways I like to unwind is by washing the day off my face, giving it a little pampering after the harsh conditions it faces throughout a normal day. I have to say, I didn't realise how many products I use until you put them all together. They're usually in different places around the room. 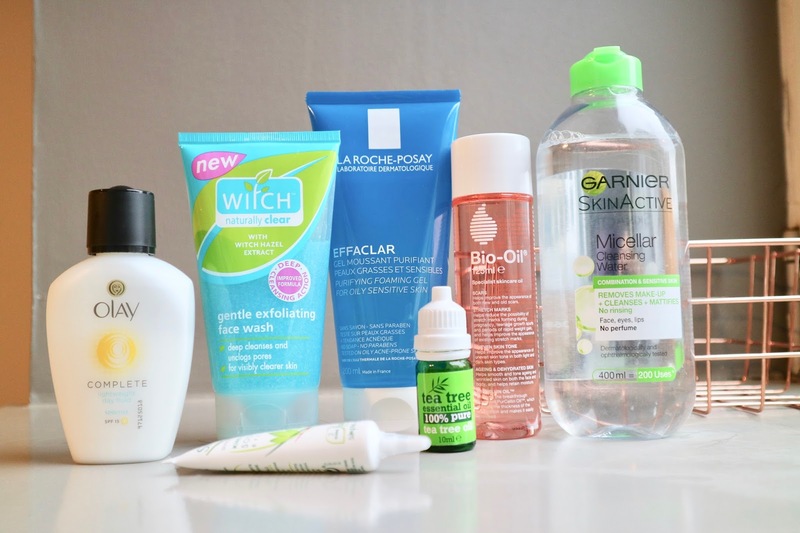 My first step is removing any make-up and bits of dirt with Garner Micellar Cleansing Water. It’s literally the greatest thing for removing make-up and doesn’t leave your face feeling dry like Face wipes do. 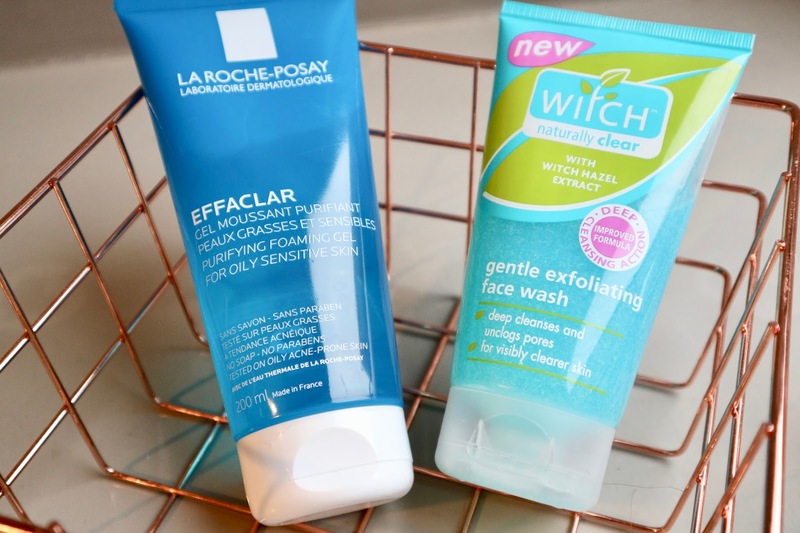 After that, I’ve been using La Roche-Posay Effacular Purifying Gel wash for oily sensitive skin. The lovely people from PR sent it over and it’s honestly my favourite thing. Compared to the previous face wash I’d been using before, I definitely felt as though all the excess sebum had been removed and my face felt cleaner and refreshed. This face wash definitely goes deeper in removing excess oils than other high street brands, so you actually feel fresh-faced. For £12 it’s definitely worth it. I’ll have a post coming out on that soon! Once I’ve washed that off, I use Witch Gentle Exfoliating Face Wash to remove the dead skin cells and build up in my pores. I love that this is gentle and boosts the skin's hydration. Exfoliating daily helps to encourage blood flow to the face and it’s what gets you that natural glow. My favourite step in my skincare routine is moisturizing. I’m obsessed with it! After I’ve pat-dried my face, I go in first with Simple Kind to eyes soothing eye balm, lightly patting it over my eyes with my ring finger. 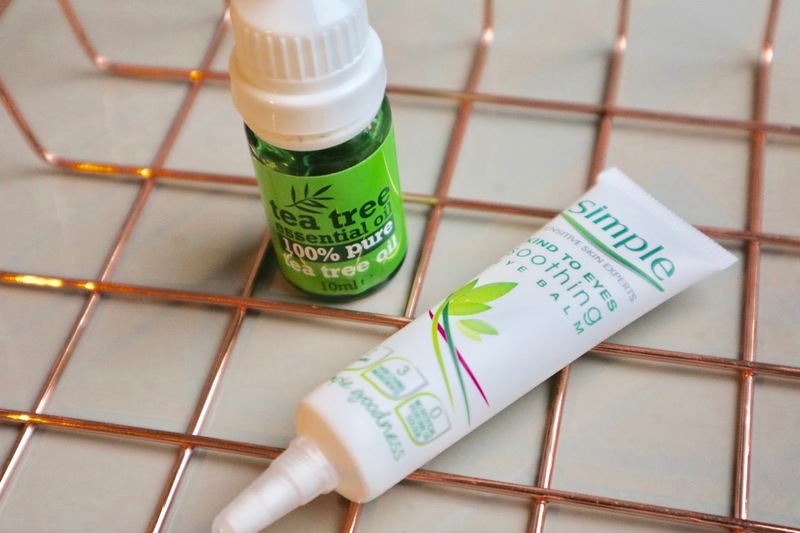 I then use Tea Tree Essential Oil which is great for targeting spots. It’s the most effective treatment I’ve found that does actually target and reduce the size within a few hours. I use my pinky finger and apply a little dab of oil on any spots. 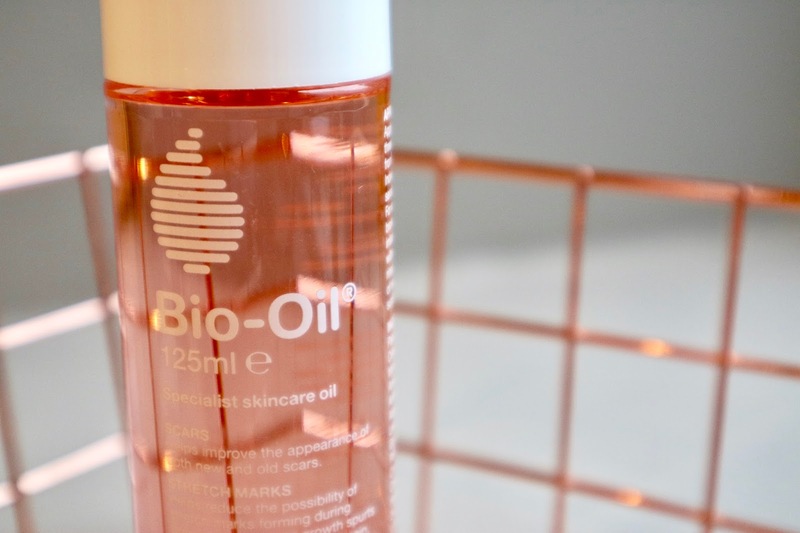 Once my skin has a chance to absorb that, I use a little Bio-Oil. I’ve only started using this recently and it was actually my Mum who recommended it to me. She said it would be good for the light scaring I have on my face and clearing away the blemishes. So far so good. I was a little worried that to would leave my face looking really oily but as it spreads easily you only need a little bit. After the Bio-Oil, I go in with my moisturiser. Olay Complete lightweight day fluid. It’s perfect for oily skin and it contains extra vitamins and SPF. I love applying moisturiser on a soft, smooth and freshly washed face. It feels heavenly. I’ve also made a little video sharing the steps down below. So check it out! What do you guys do to rewind in the evening?